I am always on the lookout for good online courses and made it a habit to learn something new at least 30 minutes every morning after breakfast. Sometimes I pick something together with my wife and we learn something together but often I pick a topic that really interests me. The reason I go to Udemy for this is (Instead of Youtube) is that I also get a community, can ask questions and contact the instructor. With a full 30-days money back guarantee you should just try it out. I will list the course I recommended in my articles below. Since I am also a trainer on Udemy I often get promotional codes that I will share with you so you can get a good bargain of the best courses. Subscribe to my newsletter if you want to be notified about new opportunities. Achieve Your EOY Goals: New Language? New Skill? Not an online course I know but for a few dollars you get reliable Internet security. 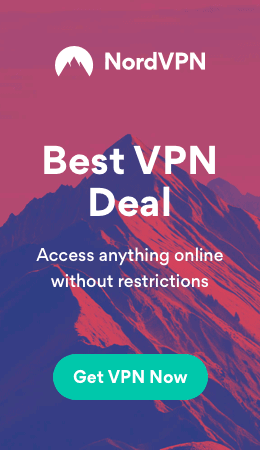 If you want to invest anything use NordVPN.